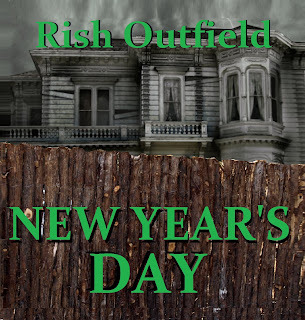 My story "New Year's Day" is out there at last. It tells the tale of three teenagers who go investigate the locale haunted house, ostensibly for a Halloween article for the school newspaper. But what lies inside the dreaded Laemmle House? For when the trio emerges . . . it's a "New Year's Day." Set in 2001, I worried that this would be hopelessly dated (NONE OF THE TEENAGERS HAS CELL PHONES!!!!!!!!!!!!!!!!!!!!!!!!!!!!!!!!!!!!!!!!!!!!!!!!!!!!!!!!!!!!!!!!!!!!!!!!!!!!!!!!!!!!!!!!!!!!!!!!!!!!!!!!!!!!!!!!!!!!!!!!!!!!!!!!!!!!!!!!!!!!!!!!!!!!!!!!!!!!!!!!!!!!!!!!!!!!!!!!!!!!!!!!!!!!!!!!!!!!!!!!!!!!!!!!!!!!!!!!!!!!!!!!!!!!!!!!!!!!!!!!!!!!!!!!!!!!!!!!!!!!!!!!!!!!!!!!!!!!!!!!!!!! ), and actually started updating it, but then stopped. It was written when it was written, who cares if nobody (but Big) has read it until 2017? This was a story we were going to run on the Dunesteef in earlier years . . . until we discovered it ran about three hours. Still, a part of me would've enjoyed hearing Renee as Britt, Big as Dave, and me as Rob. Ah well, guess I'll have to be satisfied with me as all three. Anyway, you can buy the text version on Amazon, or the audio version on Audible, and one day, I'll put it in an audio collection. Just not yet. I snagged it with the last of my Audible credit from some shenanigans and look forward to listening. I'm currently one sentence in. I'm glad I read this before I dove in, so I can place it as taking place in about 2001. Did you consider updating it just enough to have an early mention of the year the story takes place in? Just curious, from a "the process of publishing your own stories" point of view..
Actually, when I was doing the audiobook, I started to update the years (I recorded two versions of each sentence that referred to a specific date), but I decided that it would be too much work to update the Star Wars Prequel and G.W. Bush and Lord of the Rings references, and that it would be just as dated a year or two from now, so I should leave it as it was.